In Busy Busy Mumbai.... There is one place available where you can experience a serenity and your mind can meltdown in spirituality. 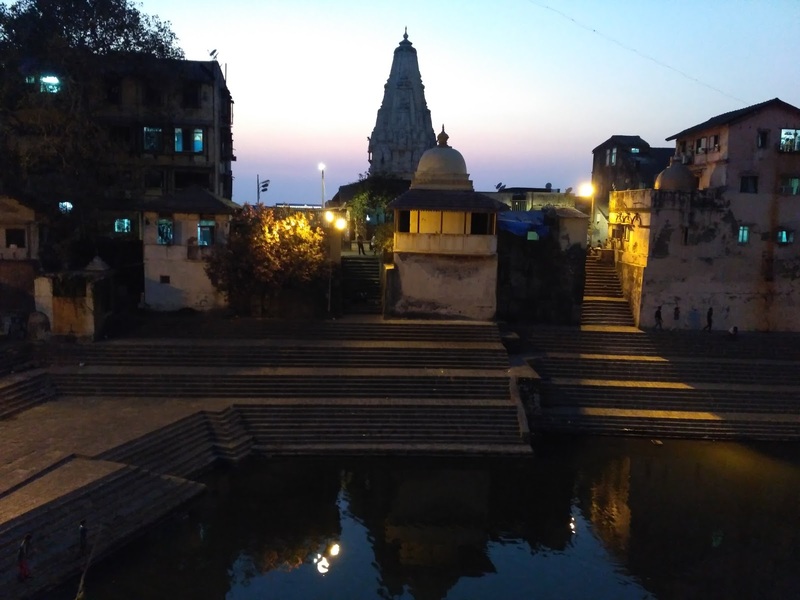 The place is known as "Walukeshwar temple" or "Banganga temple". In common and official tongue this place is spelt as Walkeshwar. Whenever I used to visit Marine Drive, I was always wondering about the area on opposite shore of Marine drive. When I searched out on Google Map, I got to know that area was Walkeshwar & Malabar Hill. 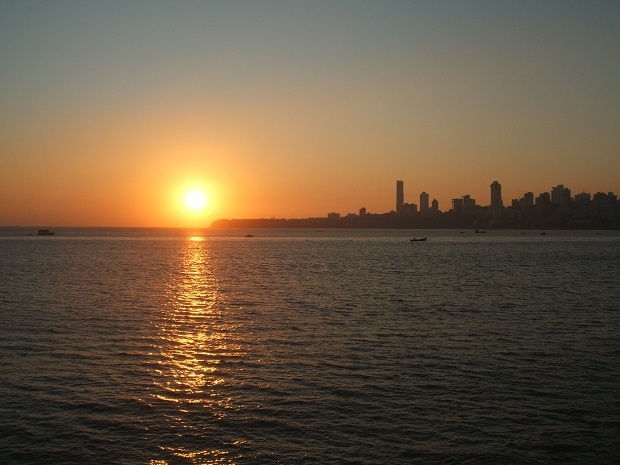 Malabar Hill is one of the precious lands of Mumbai in terms of reality prices. 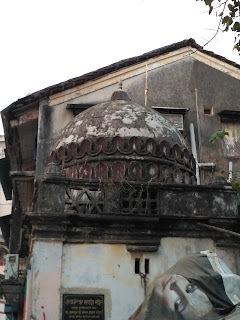 And I felt really good by knowing, Mumbai absolutely afford to maintain historical temple in the vicinity of Malabar Hill. I can hardly avoid the temptation of visiting a place where history has been written few pages. As per mythology, Walkeshwar temple has the history which is linked to Ramayana. It is said that Shri Rama had stayed at this place on the way to Lanka in pursuit of Raavan who had abducted Sita. 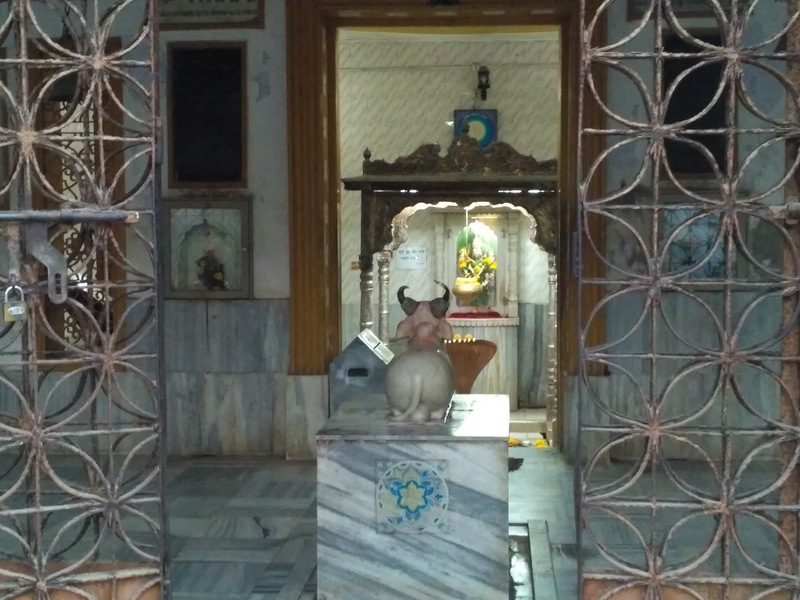 He eagerly wanted to worship Shiva and there wasn't any temple available on this island. Then he himself constructed Shiva Linga with sand and worshipped it. 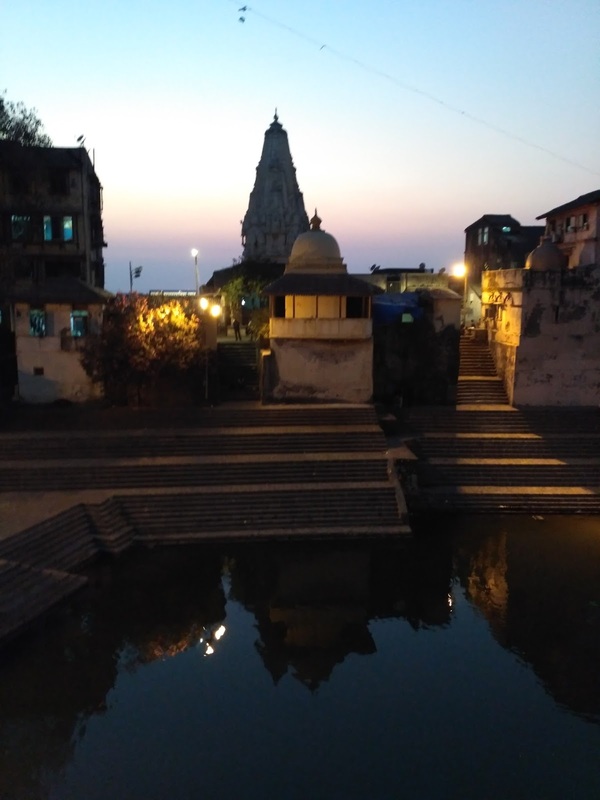 Later on, as he couldn't find fresh water nearby, he shot an arrow on the land in front of the temple to bring out spring of fresh water (called as Banganga tank). Sand is called as Waluka in Sanskrit and so this temple renowned as Walukeshwar (God made from sand). 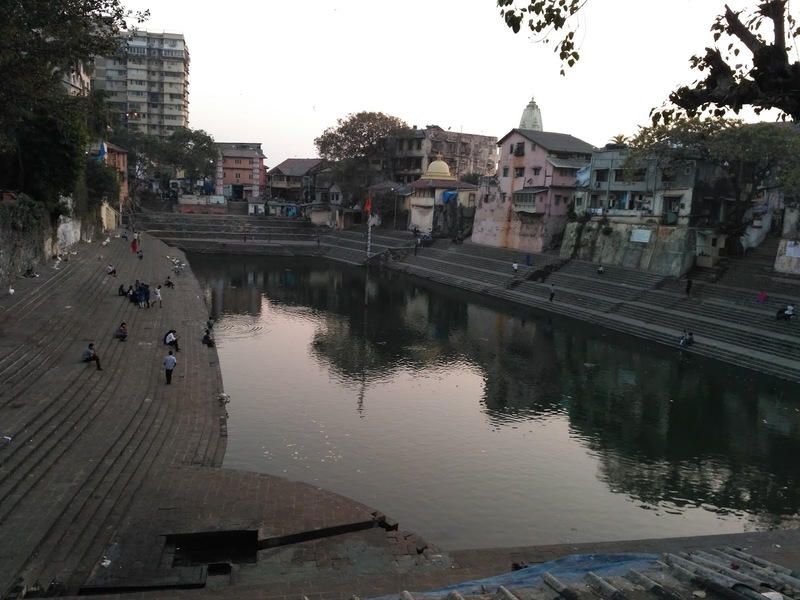 The temple and the attached freshwater lake 'Banganga Tank' were built in 1127 AD by Lakshman Prabhu, a Gaud Saraswat Brahmin minister in the court of Silhara dynasty Kings who ruled Thane, and the islands of Mumbai during 810 to 1240 AD. 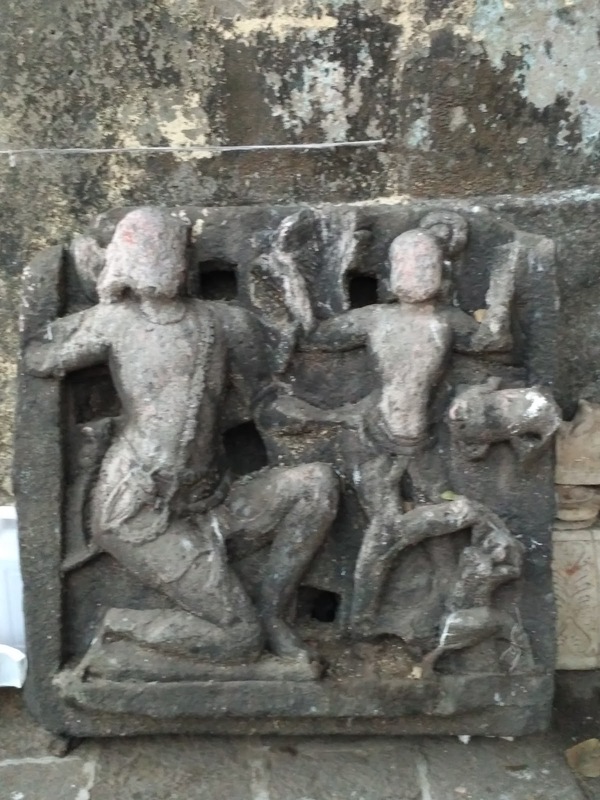 The temple was destroyed by the Portuguese during their reign over Mumbai in the 16th century. It was rebuilt due to the generosity of Mumbai businessman and philanthropist, Rama Kamath, another Gaud Saraswat Brahmin in 1715. By 1860, the temple started attracting greater crowds and 10 to 20 other temples had come up around it and 50 dharamshalas. I had visited this place along with my "Always Ready" travel partner i.e wife. We took the taxi from Mumbai Central East for Walkeshwar. After alighting from the vehicle, we had to walk through a small street surrounded by small houses (chawl). After walking 02-03 minutes, we got a view of Banganga lake which is rectangular in shape and enclosed by steps from all four sides. Around the lake, there are at least 5-6 Shiva temples built by various Brahmin families. One temple has been mentioned the name as "वाळुकेश्वर मंदिर" i.e. 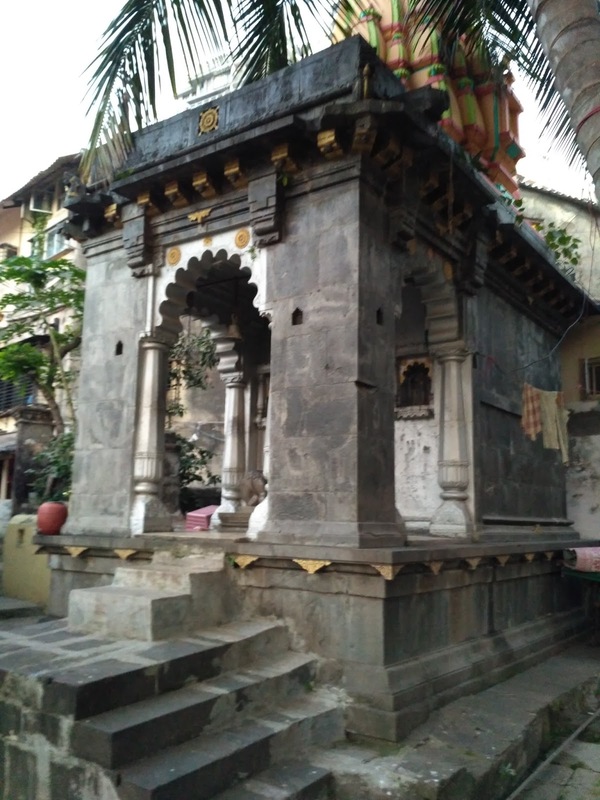 Walukeshwar temple. Being such a historical place, I was expecting a temple with an old architecture. But this temple has modern day construction. Shivalinga is said to be preserved from ancient times. We also visited other temple situated on left side of Walukeshwar temple. This Shiva temple is known as "Rameshwar Mandir". I really felt enchanting in this temple. When I pronounced mantra "Om Namaha Shivaya", the vibration of Mantra was echoing so beautifully that I felt a wave of peace in my mind. I sat there for a while chanting Om Namaha Shivay loudly and felt never to open my eyes to leave that temple. After seating beside the lake for a while we roamed around the area surrounding the lake. It was purely vintage Mumbai gullies. Small homes of natives of Walkeshwar and small temple situated after every 2-3 houses. We felt as if we should live there forever. We even received a welcome gesture from one of the old lady. We really felt overwhelming when she voluntarily offered us water and laddu. She also directed us to "Parshuraam temple" and described us the place through her 72 years of stay near a lake. After the visit, we took a walk through streets of Malabar Hill. 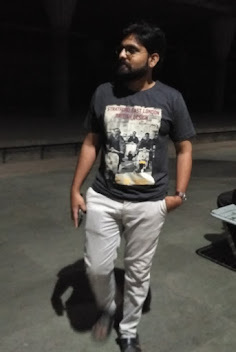 A feeling is like witnessing preserved vintage Mumbai and I think that is why it so much costly. We really felt peaceful throughout that walk like Mumbaiya couple roaming with hand in hand. We also got to visit the beautiful Jain temple (unplanned visit) which is half a kilometre from Walukeshwar temple. We couldn't visit Hanging garden due to time constraint. Maybe next time we could hang on to that. Note: Reference to the history of a temple "Wikipedia article".